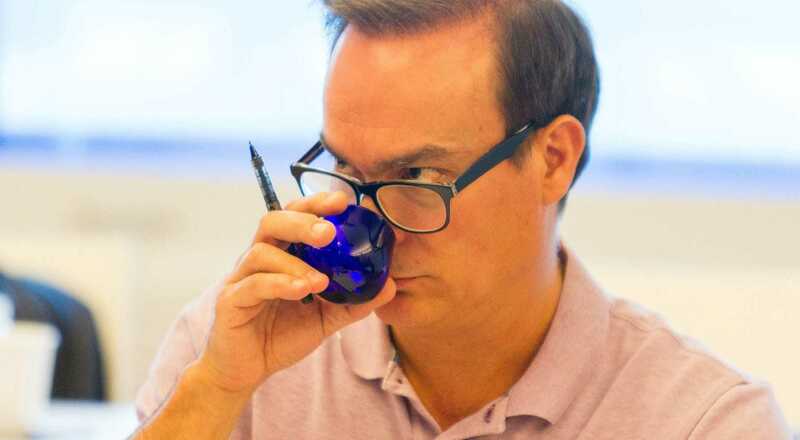 On April 30, the Olive Oil Sommelier Certification Program returns to New York's International Culinary Center (ICC) for an intensive, 6-day course in olive oil sensory assessment. When hundreds of olive oil enthusiasts descend on New York on April 26 for the 2018 NYIOOC World Olive Oil Competition and the unveiling of the year’s best olive oils, many will be staying an extra week to become expert olive oil tasters. On April 30, the Olive Oil Sommelier Certification Program returns to New York’s International Culinary Center (ICC) for an intensive, 6-day course in olive oil sensory assessment. Enrollment for the course is capped at 45, and seats are filling quickly with people taking advantage of the opportunity to attend olive oil’s premier industry event and the tasting course in one trip. The six-day, two-level program produced by ICC and the Olive Oil Times Education Lab features the world’s foremost olive oil experts and educators in a comprehensive series of courses spanning production, quality management, and advanced sensory assessment. Those who successfully complete the course receive a joint olive oil sommelier certification and join a growing community of olive oil sensory analysts and educators. So far, the program has offered four sessions in New York and one in California that saw students travel from every corner of the world — 22 countries in all — toward becoming experts in olive oil sensory assessment. Past attendees ranged from small producers to representatives of the very largest; from quality-control technicians to professional chefs and restaurateurs; from independent retailers to major distributors. Over the course of the week, participants will be led through guided tastings of more than 130 samples of olive oil from 26 countries by instructors from Italy, Greece, Chile, Spain, New York and California. The interactive program spans the history and culture of olive oil, olive tree cultivation and harvesting, milling and production, health benefits and chemistry, quality management, culinary applications and food pairing and, of course, the sensory evaluation of extra virgin olive oil. To register for the program, visit the Olive Oil Times Education Lab website.